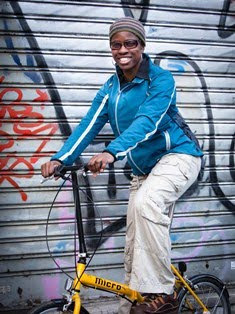 Rochelle Gilmore is big in cycling. If you haven't seen her you’ll have definitely heard her extremely knowledgeable punditry on the BBC, ITV, or on Eurosport. After a successful career as a professional road and track cyclist (including a Commonwealth Games title on the road) she set up the Wiggle High5 team (then known as Wiggle Honda) in 2013. The team is replete with some of the world's best women racers with a number of world champions. I first met Rochelle a few years ago when they were doing the team presentation in Ghent, Belgium. 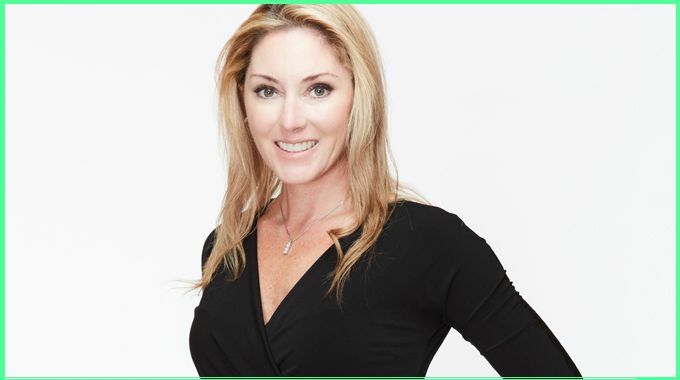 She came across as driven, motivated, and entrepreneurial, but was still kind, gentle and clearly had the wellbeing of her riders at the forefront of her mind. Oh, and Rochelle is a successful business woman, and is pretty damn good on the rollers! I got into cycling when I was three years old. My two older brothers were racing BMX and I just nagged my mum and dad, because I wanted to get out and race with them. So I started BMX racing, and competed with the under-5 boys. At that time and during my early high school days BMX was not an Olympic sport but I really loved just pedalling my bike - getting out of the gates, sprinting, and all the technical aspects of BMX. Later I was identified through a programme at school where they came and asked if anyone wanted to go and be tested for Olympic potential, as an athlete. There was power testing, short sprints, four-kilometre runs, tests to see how high I could jump, long jump, all that stuff. My results were in the top 1% of Australian olympic potentials around the age of 13, and so I got a letter from the government saying they would financially support me for the next three years if I chose one of the sports on the list. There was a choice of rowing, mountain biking, cycling, and triathlon. Because I had done BMX for so long I was keen to do cycling, so I got into track and road cycling through the local Institute of Sport. I was living in a very small country town out in the bush, to the South of Sydney, and they would pick me up from my home and take me to the races. Within 3 months I had won an under-15s national title, moved to the New South Wales Institute of Sport and then on to the Australian Institute of Sport. It all happened pretty quick, and was really exciting, especially as I was doing an olympic sport. Emotionally, My strongest memory from my career was winning a Road World Cup in Australia in 2005. It was a very satisfying moment because I had just transferred from track to road. So for me to win a World Cup in my home country was massive. Then obviously getting gold at the 2010 Commonwealth Games was a high point for me too, because I’d got silver four years before that, and four years before that, so after twelve years I wanted to go there and win. I did not want to come home from the Commonwealth Games with another silver medal. It just feels really great to have won gold now, particularly because the silver medallist in the race was Lizzie Armitstead (Deignan). So it makes it even more special seeing that she has really established herself as one of the world’s absolute best as an all-round cyclist. I raced alongside Nicole Cooke on the same team, and shared a house with her for seven years. When I think about Nicole Cooke's career I remember those moments when she was just so happy whether a teammate won or she won. I remember the staff would really try to go that extra mile to support her within the pro teams that I rode on with her. There were people who really wanted the best for her. I recall some really beautiful moments in Nicole’s career and I think she took a lot of positive experiences from the sport. I don’t have memories of mistreatment or abuse or anything of that. I tend to remember those special moments that we had, travelling around the world together, and the fantastic time we had when we raced in San Francisco. It was just great that our teams were able to take us to those races. Unfortunately we are not hearing those stories from Nicole these days. I try and keep in touch with the pro cyclists I used to race with. I keep in touch with nearly all of the girls I was with when I went through the Australian teams in AIS and the pro teams I was with. With social media you always know where people are and what they’re up to so even if you don’t speak, much. We are all still involved in cycle sport in some way, and as I was racing for many years, I am not just going to walk away from it. So I do bump into different girls I raced with and love catching up with them. This year while in Australia I bumped into was Mari Holden, an American who raced for T-mobile and was World Time trial champion in 2000. She was out there working as a director. I also caught up with Rahna Demarte (now Gerrans) a girl I went to the junior world championships with in 1998, who I hadn’t seen for 15 years. She’s now married to Simon Gerrans. Catching up with her was fantastic as well. Then there are other people like Vic Pendleton and Chris Hoy who I’ll see around the place and catch up with. The key to the success of Team Wiggle High5 has been in maintaining a decent quality of life for the riders and making sure that rider well-being is at the top of the agenda. At Wiggle High5 we have an atmosphere where quality of life is the priority so we don’t want unhappy athletes or unhappy staff. You can’t expect riders to get results if they are unhappy. We really look after recovery and the personal interests of the riders. One unique thing about this team is that riders all have some buy-in in the decisions, and the riders really feel like they are important to the team. Also, all the athletes are really good friends. They have chosen the riders that they like to be around. We make it a priority that everyone is happy with the composition of the team and the personalities we have, and everybody really has each other’s back. That’s one of the mottos within our team, that we have our staff and our team-mates’ back all the time. For Wiggle High5, results in races are only one part of the team’s aims. 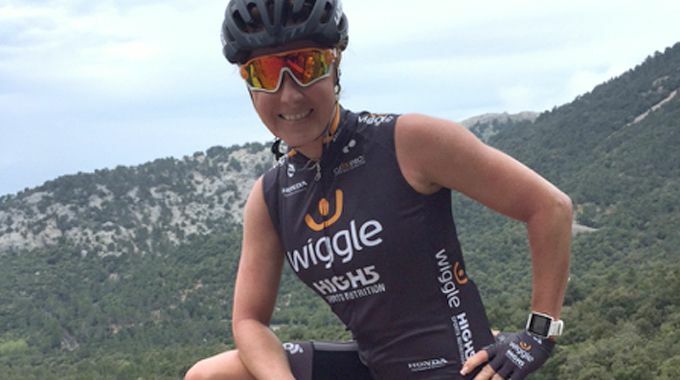 Wiggle High5 has always had a strategy to increase publicity for the team through social media campaigns as a way of bringing positive returns for their sponsors. The money side of things only comes with exposure. So what I did when I started Wiggle High5 (at the time Wiggle Honda) was to have a really strong PR team to create ideas to give our sponsors return on investments. So we have a strong focus on social media. It is hard to accept, but if you analyse it there is way more history in men’s cycling than in women's, and way more spectators watching men’s cycling. The business side of the sport is the men that are generating the majority of the money because of their history. For that reason it’s hard for women to walk onto the stage and demand exactly the salaries and prize money that the men are getting. Women work just as hard, and in some ways the women are more professional than the men, but our sport – women’s cycling – is relatively new compared with male cycling. It’s not rocket science though, that there are challenges. We can’t just say £50k for the men, £50k for the women at every race, if there’s only 1% of the viewers watching the women. Organisers want to do a great job for women's cycling, but there's a difference between what they can do and what they can justify. Conditions are definitely much better than they were ten years ago, for sure! We are progressing every year with the prize money, and women can now make a career out of cycle racing. The TV coverage has been the biggest advance. Obviously things like Ride London, Tour of Britain, Tour de Yorkshire and Le Tour by the Tour de France have TV coverage and that makes a huge difference to our sport. As women’s cycle racing grows, the calendar has become very intense. Sadly, some races like the Route de France ended up being removed from the calendar this year. Women's racing has a very busy and difficult schedule because we want those monumental races. We want to have Tour of California, Tour of Britain, and these big races that give us the opportunity to race alongside the men’s races or within the same week, and have all the publicity that the men get. But as a result, we have a very heavy programme and we have to travel a lot. The UCI obviously don’t want to turn race organisers down but now that we have a Women’s World Tour, with TV coverage, that’s distinctively the pinnacle of women’s cycling so they are the races that the top riders and top teams will focus on. So that makes it difficult to fit in all the races. A Tour de France for women would be great, though perhaps not three weeks. Women’s teams are a lot smaller than the men’s teams, so if you want your best riders to prepare for a two- or three-week Tour de France the other races would definitely suffer. During my racing career I did commentary for a lot of Australian networks when I wasn’t racing. I had started TV commentating with Phil Liggett back in 1997, so Eurosport asked if I could commentate with Sean Kelly for the women’s road race at the London 2012 Olympics. I was available to commentate because injury had put me out of the Olympics. So from that, I did the World Championships for the BBC, and have done that every year, plus Ride London and the Tour de Yorkshire, then the Tour de France stuff. It’s still very emotional when my girls are in a race, and you have to hide that when commentating. The hardest race I had to commentate on was the first Ride London women’s criterium in 2013 when Laura Trott won, while she was riding for Wiggle Honda. The team was fresh and new and it was exciting, there were so many people watching, it was live on television and I remember the last lap, how my heart nearly jumped out of my chest. It was really hard the commentating and keeping a neutral tone. When Chloe Hosking won Le Tour by the Tour de France on the Champs Elysees in 2016 I did express some emotion and I was really, really happy about that. There have been other tough moments like the Rio Olympics, commentating when Annemiek van Vleuten had her crash. That was a really sick feeling to the point where I couldn’t speak for the next five minutes. When commentating we have to stare at the screen and watch things really closely and at that point we are glued three or four centimetres form the screen and to see the crash, it was really devastating. This is someone that I know personally, as I know a lot of the girls in the peloton, and not having the information about whether she was moving was a hard moment. As well as commentating I run a few businesses. I am the High5 distributor in Australia and that’s given me a lot of insight into business that’s orientated around numbers, whereas cycling success is more orientated around victories and leveraging that through media exposure. I also run a company, GoExPro, an Australian company that sells ex-professional cycling equipment. On top of that, I have RMG Sports Production which makes cycling and other videos and documentaries. I’ve just been involved in making a 59-minute documentary on motorsports. Then I have two other cycling teams that I work with - the High5 Dream Team, and the Australian national team. To run all my activities I’ve gotta be a bit OCD where I’m super super-organised, so I use my time wisely. Normally in meetings I say, "I’m spending 15 minutes - give me your issues," and I say yes no yes no, and bang - I’m gone. There are moments where you need to let the conversations go - there are no time limits, and you have to stay and listen to everything. Since I’ve retired and gone into business it has been a big challenge keeping fit and feeling comfortable about doing exercise without it being your job, and without feeling guilty about not training hard when you are out on the bike. I have now come to realise that I have to do exercise to function, work and make good decisions and be relaxed. So it is more efficient for me to combine exercise and work together. 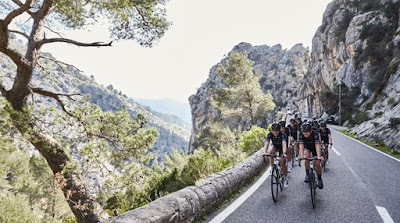 When it comes to places to cycle I love Mallorca because the roads are smooth, the weather’s good, there are a lot of cyclists out there to ride with. I only discovered Mallorca a couple of years ago and really fell in love with it. I come here to do a lot of work, but I enjoy my rides and that makes me feel more productive. She’s not one of those people who woud want to influence my decisions on team matters, but she will inform, and she will say, “Why don’t you sign this rider next year, she’s been doing really well.” Then we’ll have a debate about why she got points or her results, or whatever. My mum ’s definitely a good person to have discussions with. She’s got a new place to live in Dubai, so I stopped over when I was on my way to Europe from Australia earlier this year. I was there for less than a day and we went shopping. The shopping Mall has an indoor ski slope, so I went for a ski while she went to the bar and watched me from out of the window! She really appreciated me stopping by to see her. Then she comes to see me at my house in Italy a couple of times a year. My drive and motivation to be successful has come from my step-father, who my mum married 25 or 30 years ago. He’s a very successful business man and I relate very well to the way he manages people and I have learnt so much from him. I wanna make my mum and my step-father very proud. That was my drive, to prove I could make something in the business world. They’ve always wanted me to hang the bike up and retire and do something in business because that’s how they measure success, and they did ask me quite often, “When are you going to stop with the cycling and do something in business. ?” Actually when I told my parents I was going to start a women’s cycling team they were just like…”That’s a ridiculous idea!” But hey, four or five years down the track they are extremely proud. I never go out on my bike without my phone cover that always has my credit card, usually a hotel keycard, and my business cards. I carry cards for the businesses I have in Australia, so if someone in Australia is looking for a bike, or asking about High5 I can just give them a card. While out on the bike you meet so many people that you can do business with. I could have done one of a number of different sports, because when I was young I was doing gymnastics, athletics, swimming, surf-lifesaving, motocross ....From the age of three years old I just wanted to do sport. You know, like people say “When did you decide?” I think I was like five or six years old when I was watching the Olympics on TV and I was saying, “That’s me, I am sport!” I was just born to be athletic. Some people say I may have been better suited to mountain biking because of my technical skills, but road cycling provides such a wonderful life. You move around, you travel the globe. Track cycling for me was probably physically better, but in terms of lifestyle, doing laps around an indoor velodrome was good, but after five or six years, I felt it was time to get out there and go pro with a road team. The freedom of being on the road, there’s no other feeling like it! I feel so fortunate that I chose cycling and that this has been my career, and my path, and I love it.